Even though an Asian themed pokie is nothing new, ReelNRG has still attempted to release an original and exciting game in Goddess of Asia. It follows closely on the heels of another ReelNRG hit, Shanghai Respin. Fans of that pokie will instantly recognise the design elements used in Goddess of Asia. The character and background designs feature the same attention to detail, great colours and authentic atmosphere. A large part of that atmosphere comes from the in game music, which has a definite Asian theme but also sounds original and inspired. ReelNRG have a great reputation for quality pokies, which is well deserved. While the theme of Goddess of Asia may not be that original, it is executed well and will definitely convert new fans to ReelNRG’s catalogue of games. 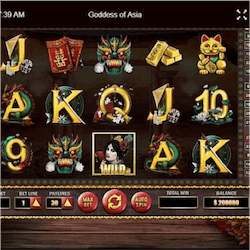 Goddess of Asia is a 3×5 reel pokie title with wild symbols, re-spins and more to keep players engaged. The wild symbol will double any wins it is part of while the fan symbol will trigger re-spins. The more you can re-trigger consecutively, the more additional features are added to the reels. The free spins bonus game is activated by the scatter symbols represented by golden nuggets. The number of free spins a player gets is determined by a pick me bonus game. Another testament to the talent of ReelNRG is the fact that they they recently signed a content deal with operator BetVictor and will receive international distribution thanks to the integrated use of the GAMEIOM platform. ReelNRG is one of the most respected developers based in the UK and they have so far not been affected by the new UK Gaming Commission’s triennial review findings. 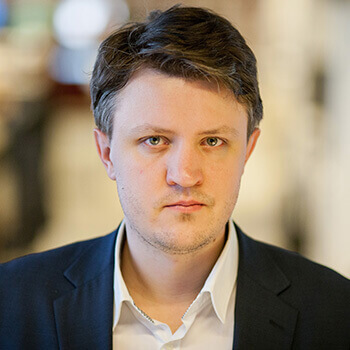 While the commission did not specifically target developers, there could be repercussions for future game design elements or advertisements since the new regulations would prevent ReelNRG from creating animated titles that could be interpreted as attractive to children. With their new distribution deal signed with BetVictor we may see more culturally themed pokies as the company attempts to break into international markets and make a name for themselves in the already crowded developer space. If they continue with the same great quality in graphics and game play with their pokies, they are sure to make a great success of their enterprise. Since ReelNRG first started life in 2015, this distribution deal is an excellent foot in the door for them. Goddess of Asia should be another solid game the team can put under their belt to build their success.